Every so now and again it all just comes together. Today was such a day. 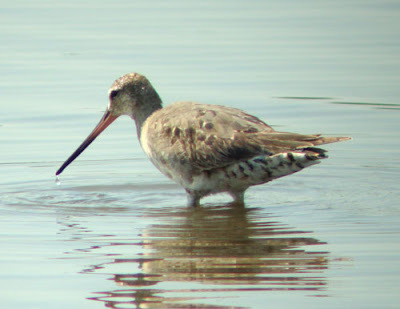 While birding at Pointe Mouillee State Game Area, I saw two species of birds I've never recorded in Michigan, and saw several things I've never seen in my approximately 20 years of birding. 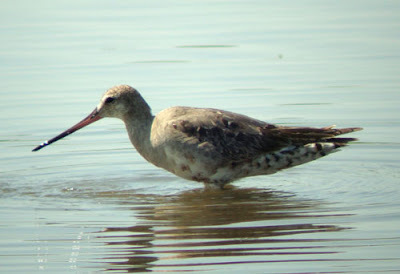 First, for only the fourth time in my life, I saw a Hudsonian Godwit- a rather rare and beautiful creature with a very long annual migration. But unlike in my prior sightings, this bird decided it was comfortable with my watching it from very closeby. It was by far the best looks I've ever had at the species; it is an adult with 90% basic body plumage and retained wing feathers. 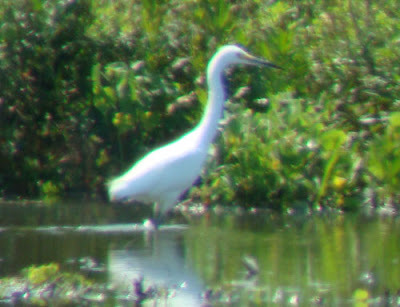 The next bright spot in the day was another species I've never seen in Michigan- the southern Snowy Egret. 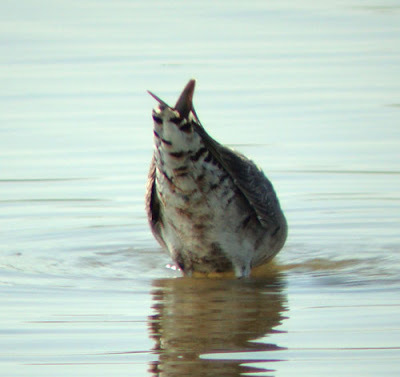 Not uncommon south of Michigan, this species is surprisingly rare north of Toledo, OH. 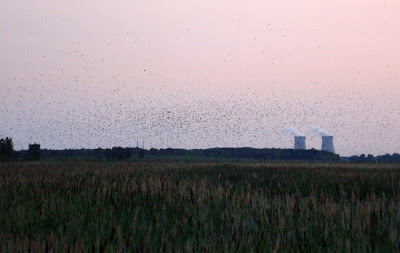 But to really top it all off, we ended at dusk with a true avian spectacle- a mass staging of Purple Martins which we estimate included at least 20,000 individuals coming to roost in the Phragmites marsh adjacent to Lake Erie! This presumably represents one of the highest counts for the state of Michigan, but these numbers are hard to come by, and large flocks have been reported in the thousands. 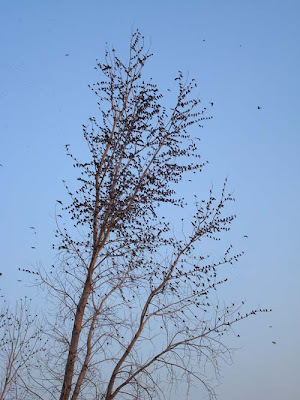 Estimating the numbers was a difficult thing, but here are two representative photos of the swarms of birds we witnessed spiraling out of the sky and into the marsh. It was mesmerizing to watch the flock swirl overhead!